Discussion in 'CGI News' started by roocoon, Nov 2, 2018. VRay for C4D got a raise on level number and moved to another neighborhood to keep up with the Vrayses. 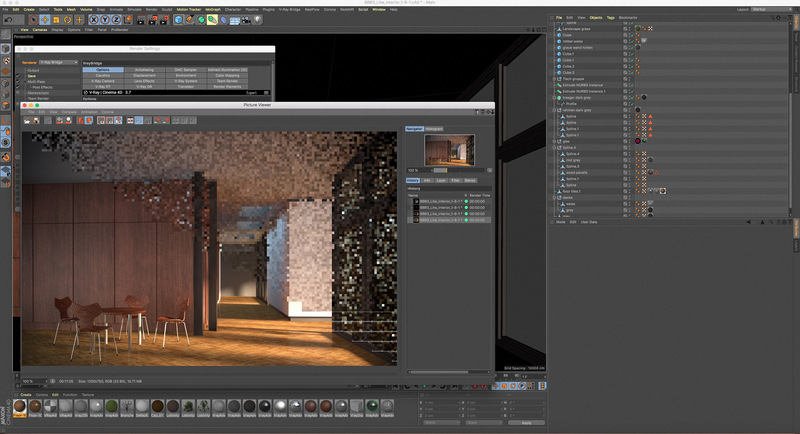 (*) V-Ray for Cinema 4D now supports Cinema 4D R20. (*) Install all supported Cinema 4D versions from single installation. 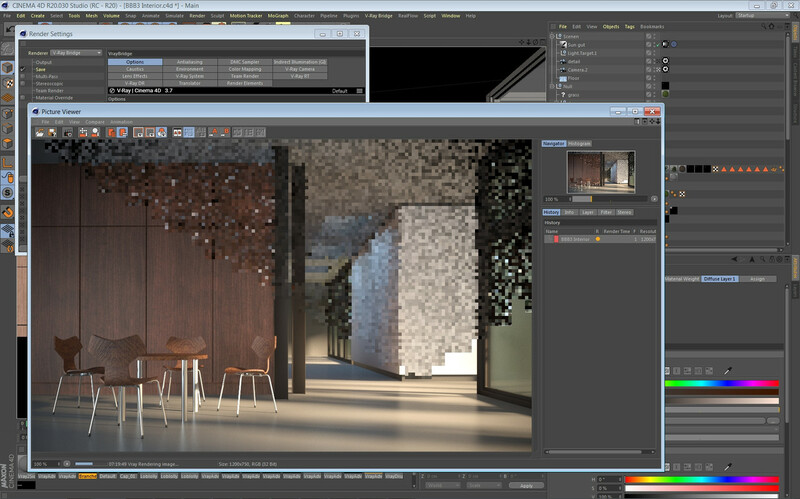 (*) Include V-Ray Standalone with the installation. (*) Licensing system is changed to use Chaos Group licensing. (*) Fast Fur and 3D teapot generator are removed from the supported objects. I started an old scene that looked reasonable, went to sleep, and some hours later the render was still at it at full throttle with my two threads. Good thing it didn't smoke. Bezio, luongvo and theconstantine16 like this. The Patch makes Vray for C4D work without a license and watermarks. If requred enter your Admin-Password to comfirm the change. That would be nice @luongvo if it worked properly. But however it works, it's worth its own post under 'releases', which by the way already exists. Maybe you can post your links there and make it easier to download for some people. My dual core with 2 threads and 3.25 DRAM computer that took 7 hours for a partial render is faster than yours? Great! And all this time I thought my laptop is slow. Once you let it go through all those mirror surfaces, you'll probably find that your 5 minute expectation is way too optimistic. Thats screen shot said just over 7 minutes, I was at 50% in 10. If you have said machine, you aren't running any of the software that you post screen shot all the time. hello.. 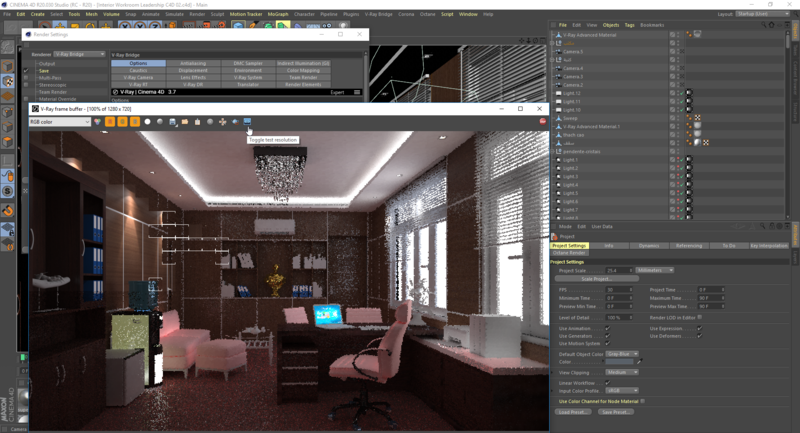 I've installed vray and patch it, but when I try to render it crashed and dont let me do anything.. I have this info. Check your patch. Probably you missed something. 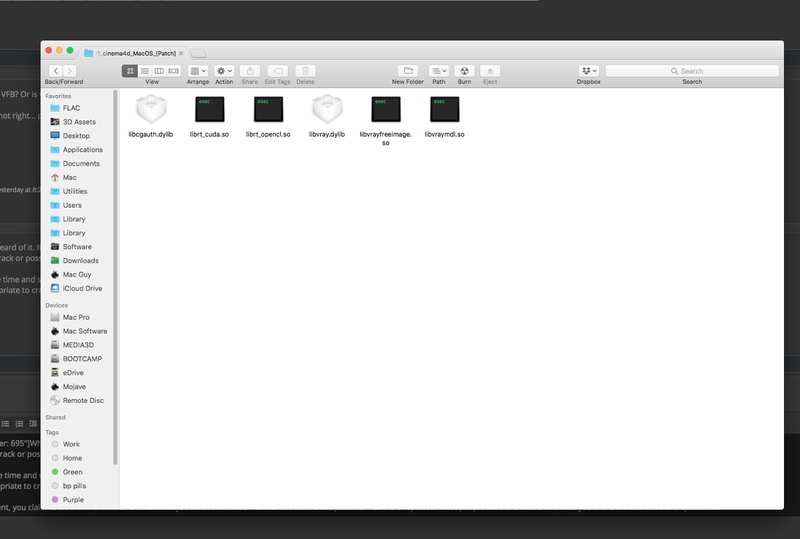 I've copied all the files of the path folder, I don't know if it's about ram or something. What files? The ones posted above by luongvo? Look at the answers following that post. It's a non-working crack. Does someone have the right one? A small update is up at Chaos. Mostly fixes. (*) Cloud rendering submit functionality (Only for single-frame renders). (*) Material Conversion command for converting native Cinema 4D materials. (*) Installation: Prioritize choosing Cinema 4D studio installations for default directory. (*) Make "V-Ray Convert Bitmaps" command to work for standard materials and bitmaps. (*) Remove the "Convert C4D Materials on-the-fly" option from the render settings. (*) Fixed loading of VDB files generated from Cinema 4D R20. (*) Fixed clicking on the IES Light tab on the VRayIESLight crashes Cinema4D R20. (*) Fixed command line render takes interface license. (*) Fixed entering attributes to objects doesn't work after applying a V-Ray material to the object. (*) Fixed exporting geometry to vrmesh proxies crashes Cinema 4D. (*) Fixed a crash with X-Particles in a simple scene with object for the emitter. (*) Fixed reports for missing icons by the VRayBridge plugin. (*) Fixed regression in material preview responsiveness. I had a look again at the old HOT4D plugin that still works fine (in R20 it needs Insydium's Bridge). Just a small thing implementing its algorithm and it still manages to make oceans as good as the much older (and much bigger) Digital Nature Tools by Arete. 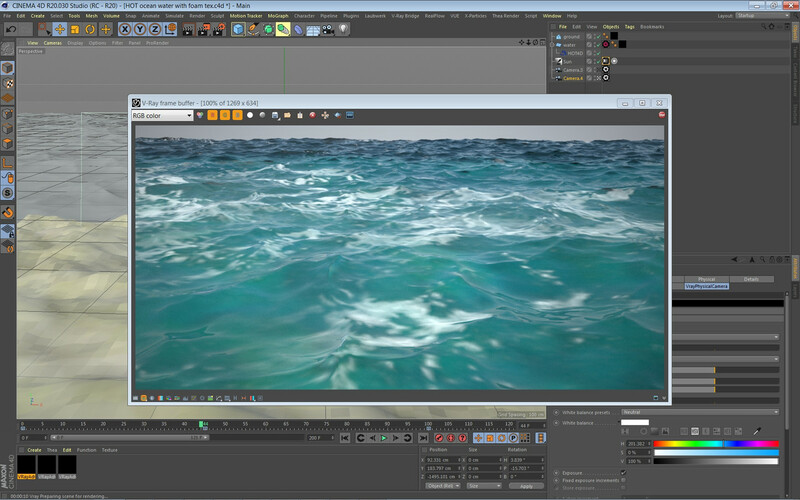 If you like water renders, check this freebie out. So you have a crack that doesn't kill the VFB? Or is this a trial version? Crack works with new version, VFB still not right... please fix rooccon. Why would a crack kill the VFB? Never heard of it. If it did, then it's not a crack, is it? Maybe it's a drop-in from another old crack or possibly from another platform? It's a popular pastime "cracking" this way but it's not working for everything all of the time. I almost sound like A. Lincoln here eh? "You can fool all the people some of the time and some of the people all the time, but you cannot fool all the people all the time". Maybe Lydgate's version is more appropriate to cracking... In the previous line, replace "fool" by "please".